Visit York has created this bottled attack on our nostrils in tribute to the city’s Norse past. It has been concocted using assorted pungent ingredients: deep-soaked sweat (worked up during a raid on a British settlement); seawater (from a long voyage across the North Sea from the Viking heartland of Norway); mud and damp (from travels on foot over sodden terrain); dried blood (not necessarily model’s own – from a day’s fighting and pillaging), and – as a token pleasant inclusion – notes of fresh pine from all those lengthy hikes though deep-rooted forests. 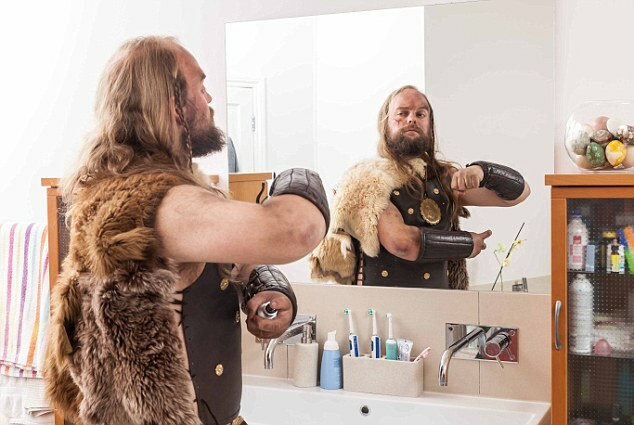 ‘With Norse Power, we wanted to try and capture the sort of smells that would have been part of the lives of Viking warriors around the time that York was the Norse capital of England,’ says Michelle Brown, the marketing manager at Visit York. The launch of Norse Power is, of course, just a bit of fun – although those who really want to smell like the inside of an animal-skin cloak can try the fragrance courtesy of Visit York Tourism which will be available to wear at Visit York’s main visitor centre – with men encouraged to swap their usual body spray for Viking stench. York was effectively the heart of Viking culture in Britain after it was attacked and quelled by Viking invaders in 866AD. The Viking era ran roughly between the end of the eighth century and the middle of the 11th.